In 1968, Motown combined the star power of the Supremes and the Temptations, resulting in two smash albums and an equally popular TV special. Over the years, certain television programs became iconic because of their historical value—the Beatles on The Ed Sullivan Show, Elvis Presley’s 1968 “comeback” special, Nirvana on MTV Unplugged. Others have been forgotten, even though they deserve iconic status. On December 9, 1968—less than a week after the Elvis special—NBC carried TCB, a musical revue starring the Supremes and the Temptations. It was the first program of its kind to feature an all-black cast. 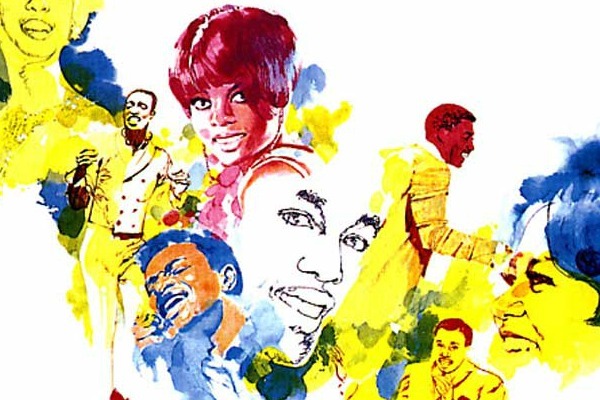 Motown’s top two acts performed their own hits and songs by others, some in medley form, backed by an orchestra, bantering back and forth in showbizzy fashion. It was the sort of splashy Hollywood-meets-Vegas production Berry Gordy saw in his dreams, and it was a ratings smash. The Supremes and Temptations had released a collaboration album only a few weeks before: Diana Ross and the Supremes Join the Temptations, which contained the hit “I’m Gonna Make You Love Me.” (Oddly, the two groups didn’t perform that song on the TCB special, which was taped in September for the December broadcast.) When the TCB soundtrack was released, it was the bigger chart performer, going to #1 for the week of February 8, 1969, interrupting the run of the Beatles’ White Album. Here’s the opening of the show, as seen on that December night 44 years ago.